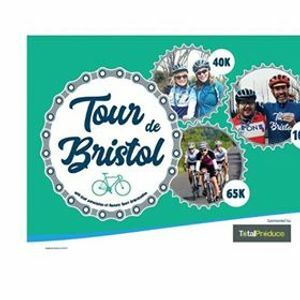 Tour de Bristol is back! 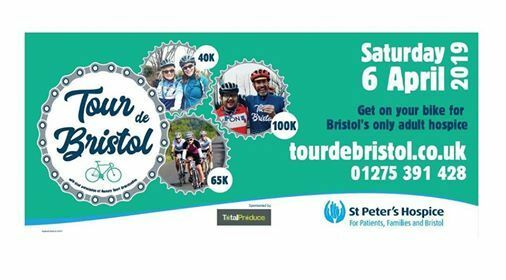 Join us for the popular St Peter's Hospice sponsored bike ride on Saturday 6 April 2019. Choose from our 40K, 65K and 100K routes. Taking in the beautiful surrounds of South Gloucestershire and the Wye Valley, this year's ride starts once more from the UWE campus in North Bristol. 40K: A perfect route for cyclists wanting to get out of the city and see some of the South Gloucestershire countryside. 65K: The mid-level route gives riders the opportunity to cycle over the old Severn Bridge and into the start of the Wye Valley. 100K: This route is for more experienced riders wanting to explore the stunning Wye Valley. 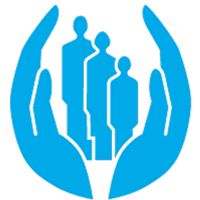 As this is a fundraising event, we ask participants to raise sponsorship for the bike ride or give a donation when signing up. Thank you to our sponsor for the event - Total Produce.